I’m excited to break out the Sharpies again for another Inktober. 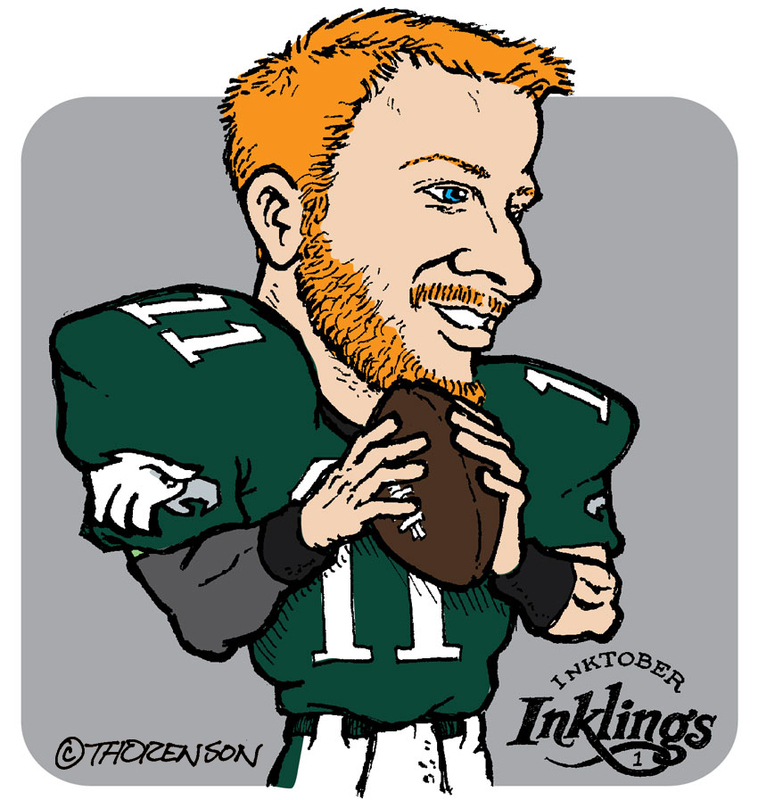 Today’s inkling is of Carson Wentz. It’s hard not to be a fan of this dedicated NFL QB from Bismarck. This entry was posted in football, Inktober, seasons, sports and tagged Carson Wentz by Sean Thorenson. Bookmark the permalink. Love it! Do you sell prints of this?